Photo-Jumelle. introduced in 1892. Thought the left lens, the image was produced on the ground glass screen, witch could be viewed through a red window at the back of the camera. 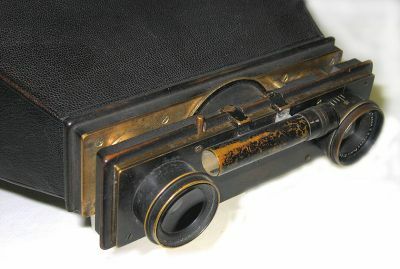 A push/pull plate changing mechanism was worked by pulling on the rod on the side of the camera.